Don’t get me wrong. We did strive to get the story first, but we also did the actual legwork to get it right. Just ONE wrong move could cost your employer its credibility, and in a field that lacked the competition journalists have today, it was more noticeable. THAT was unthinkable. But in the wake of a 24-hour news cycle and countless competitors in print, internet and television, the bar we once held high found itself inches above ground. Never was that more apparent to this old schooler than this past February at a news conference for the Children’s Health Defense at the National Press Club in Washington, D.C. Our aim was to enlighten the media on the doubts we have in the integrity of the science related to our nation’s vaccines. However, if I had any doubts about the state of integrity of journalism today, those doubts were solidified at that very press conference. Let me take you back a moment and explain how I became affiliated with Robert F. Kennedy, Jr., and the Children’s Health Defense. It was on a ski lift in Aspen, Colorado, during Christmas vacation last year when I noticed I was sitting beside Kennedy. We began to talk about the beautiful weather as one often does on a ski lift, and I asked him if he was still doing his water conservation work. He replied, “Yes, and I’m also working on vaccines now.” He proceeded to express his concerns about mercury, one of the world’s most toxic substances, still used as a preservative (thimerosal) in vaccines. Kennedy questioned why it was still being injected into human beings despite the fact that mercury is 100 times more lethal than lead. He continued to explain the relationship between mercury and autism, as well as the doubts he has in the integrity of the so-called definitive science on the matter. As I listened to his passion on the subject, I began to recall the stories I had read. The correlation between autism and thimerosal had been “debunked,” hadn’t it? It might have been easy for this conservative to dismiss Kennedy’s premise, especially considering I have rarely agreed with his politics. But as he continued to speak about the whistleblower, Dr. William Thompson (the co-author of one of those “definitive” studies), and other holes in the related science, it was apparent this was going to be a David and Goliath effort. Kennedy could be entirely off base, but what if he was right? What if there really was something to it? The old instincts kicked in. The eyebrow went up. There are telltale signs of bad journalism, all of which I witnessed at the D.C. press conference that day. The most obvious is the repetition of phrases among various news outlets. 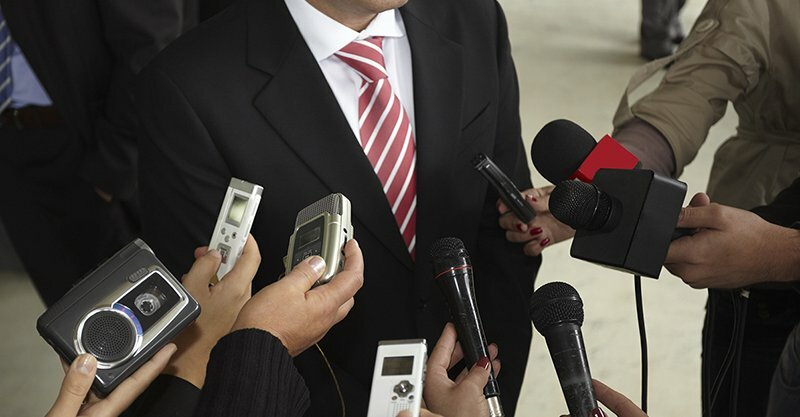 It’s not uncommon to see like words and phrases often repeated among news stories. As a writer, I find that strange at best, lacking in creativity at worst. None of us uses the same language to describe a single event. This is a sign that a “journalist” is borrowing canned talking points, planted by whomever they interviewed – or they have simply copied and pasted from a previously written story. Most, it seems, are not smart enough to catch it or perhaps too busy to care. I often wonder if they go to a room after a news conference and collectively decide what words they are going to use. In the case of the mercury/autism story, those common phrases are “widely debunked” and “definitive science.” Google it and see for yourself. You’ll find other consistently repeated phrases as well. Another telltale sign is the labeling of the messenger. Powerful entities, such as the pharmaceutical lobby or politicians, will spew out labels in an effort to shut down conversation, with the full expectation that the journalist will latch onto the label and regurgitate it. This is often a tactic a novice or less talented reporter will miss. It was glaringly obvious in D.C. Kennedy took painstaking measures to explain that he was not “anti” vaccine, but was, in fact, “pro” vaccine. Yet, in every story written, the label “anti-vaxxer” was readily used to describe this man who spent at least five minutes of his speech describing how he had vaccinated ALL SIX of his kids! 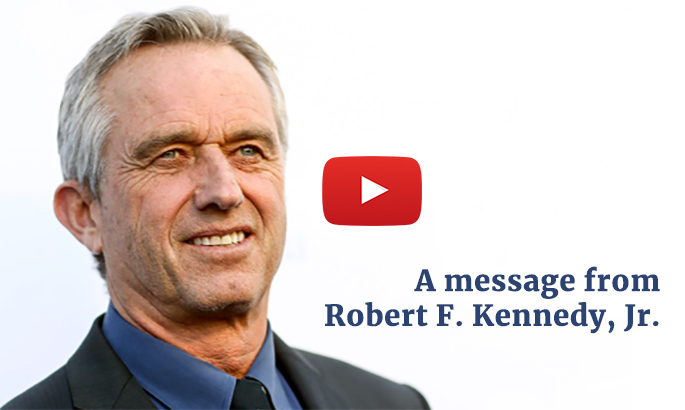 So why is he continually called an anti-vaccine conspiracy theorist? How can that be? Did the reporters write the story BEFORE the press conference? One has to wonder. Doubt is a funny thing. For some, it’s easy to dismiss. Exploring the possibilities takes effort, after all. For those who truly seek knowledge, doubt is an undeniable catalyst. Curiosity overwhelms us and drives our desire to know. Where is that kind of curiosity today? There are questions about our nation’s health not being asked, particularly with regard to vaccinations. If a reporter readily accepts what the medical establishment feeds them, God help journalism. There is plenty of ammunition for doubt in the medical establishment on this subject. The conflicts of interest are impossible to ignore. For example: Why would the public believe the CDC, when it owns 50+ patents on vaccines and takes in more than $4 billion a year by distributing vaccines? Or pharmaceutical companies, when they are part of a $4.1 TRILLION industry? Or government, when there are more big pharma lobbyists on Capitol Hill than Congressman and Senators COMBINED? These questions should be the seeds of doubt necessary to get a truly curious person interested. At least one would hope. First and foremost: Why was thimerosal taken out of most childhood vaccines, if it is allegedly safe? Many vaccines still contain “trace amounts” of mercury, 1 mcg or less per dose, according to the FDA. Why would it be added to vaccines in any amount when there is no known “safe level” of mercury exposure? With regard to the amount of mercury still used in many flu vaccines (25 mcg), what study shows that it is safe for pregnant mothers or infants when, according to the EPA, it would require a 550 pound person to process that much mercury? Given this information, why does mercury remain in 48 million doses of flu vaccines recommended by the CDC for infants, children, and pregnant mothers? If thimerosal is safe to inject into pregnant women, why is it listed in California under Proposition 65 as a reproductive toxicant? Why is the mainstream media not reporting on whistleblower and CDC scientist William Thompson’s claims of vaccine/autism research fraud? And why has Thompson not been subpoenaed by Congress? 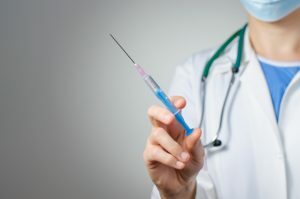 Why have vaccines never been tested for carcinogenicity, mutagenicity, or impairment of fertility, despite the fact they contain ingredients recognized as potential carcinogens, mutagens, and reproductive toxicants? Why does the CDC only assess the efficacy of vaccines in preventing infectious disease and never assess the potential long-term effects? Why has the CDC refused to compare the overall health of vaccinated children compared to unvaccinated children? Why are vaccines not required to undergo the same rigorous safety testing required for other prescription products? Why does our government continue to promote vaccines as safe and effective when it has paid out more than $3.6 billion to families of vaccine-injured children through the National Vaccine Injury Compensation Program? Why does our government claim vaccines don’t cause autism when we know at least 83 of those claims are linked to autism and vaccines? Why is it only optional for doctors and parents to report vaccine injuries given the gravity of many injuries and the potential to save others from harm? Why does the CDC assume that every vaccine has a greater benefit than risk for every child? Lastly, why has there been vehement pushback from health organizations and even members of Congress on the formation of a Vaccine Safety Commission, an entity that would help ensure the integrity of our vaccines? What are they afraid of? That alone is enough for me. The intensity and speed with which they respond to even the slightest mention of a formal commission should alarm anyone. Before that eye-opening Washington press conference, the Children’s Health Defense solicited emails from parents telling their stories of vaccine injury. Within a few days, more than 6,000 letters poured in. They were heart-wrenching stories of horrific injury and even death to children who had been healthy prior to vaccination. One moment their child was a robust and typical lively kid and within days or even hours of vaccination, there was loss of eye contact, head banging, speech loss, excruciating headaches and declining cognitive ability. The stories were remarkably consistent. These phenomena are not anecdotal, they’re epidemic. For the parents of vaccine-injured kids, these unanswered questions are haunting and ongoing. The helplessness they feel as parents and lack of help they receive from the media eat at their spirits like a bloodthirsty leech. As for me? I have no dog in this fight – only a desire for truth and a longing for journalism of old. We all had that teacher growing up who said, “The only dumb question is the one not asked.” Think about that. When it comes to our nation’s kids, our most treasured asset, should we look the other way? Should we ignore the incertitude? When in doubt about a matter as important as our children’s health, should we take the first answer (and our chances) or should we exhaust EVERY. SINGLE. POSSIBILITY and seek the truth? It’s time for REAL journalists to step forward. Go against the grain. Stand up to the powerful. Be willing to lose your job in the effort if that is what it takes to get answers. REAL answers. David beat Goliath. And we can too. Our kids are so worth it. Kathleen Kennedy is a 25-year veteran of local, national and international television news. In 1992, she joined Turner Broadcasting to co-anchor its prime-time newscast, The World Today on CNN. Throughout her career at CNN, Kennedy served as a news anchor for its sister networks Headline News and CNN International, seen in more than 200 countries around the world. During her career as a news anchor and reporter, Kennedy covered the major breaking news events of the past two decades.